The tale begins on Christmas Eve in the 1840's, exactly seven years after the death of Ebenezer Scrooge's business partner, Jacob Marley. Scrooge is established within the first stave as a greedy and stingy businessman, who has no place in his life for kindness, compassion, charity or benevolence. 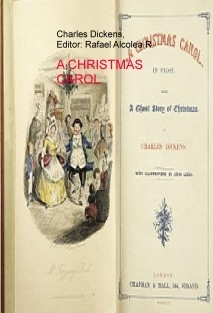 After being warned by Marley's ghost to change his ways (so that he may avoid a miserable afterlife like him), Scrooge is visited by three additional ghosts; each in its turn, and each visit detailed in a separate stave, who accompany him to various scenes with the hope of achieving his transformation.